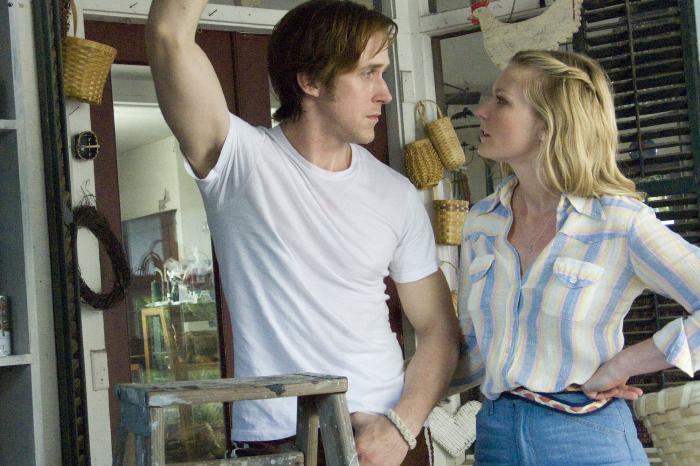 Ryan Gosling and Kirsten Dunst star in All Good Things. While most of the incredible events in this story are well-documented, they appear so strange they could have been created by a top-notch mystery writer. And that’s what makes Jarecki’s effort so fascinating. All Good Things keeps viewers on their toes thanks to its unpredictable twists and turns, superior acting all around, writer/director Jarecki’s chilling directorial flourishes and a top-notch soundtrack highlighted by period Steely Dan songs. All Good Things’ uneasy trip to theaters and On Demand avenues late last year has been well documented: Jarecki, one of the founders of MovieFone, bought the rights back from The Weinstein Company after they shelved it and then sold them to Magnolia Pictures. Good move for all concerned as the dark, modern noir stands as one of the spookiest true crime stories in recent memory. The generous extras package includes a handful of featurettes on the film’s production, the research that went into it, and Gosling’s make-up job, which ages him some 30 years. There are also interviews with the cast and filmmakers (Jarecki makes a point of saying he’s interest in “monster stories”) as well as four deleted scenes, including a particularly strange one involving a hidden stash of Polaroids. But without question the most fascinating supplemental feature is the commentary, which features Jarecki along with the real Robert Durst, whom Jarecki wangled into joining him on the track. It’s definitely unique: The subject of a film that implies he may have murdered his wife sitting down with the filmmaker to comment on the movie and the circumstantial evidence that continues to whirl around him. More than unique, the track is actually a bit disturbing. After making an initial remark about finding out that a Google Alert that Jarecki was making a movie about his life, Durst, in his low-toned, clipped voice, essentially reviews All Good Things from the point of view of both a movie-goer and a former defendant. He agrees with a lot that he sees on the screen when it comes to the performances, locales and period re-creations, but is quick to disagree with much of Jarecki’s conjectures about what really transpired all those years ago. Wow, I guess maybe I need to check this out then.. A lot of the time this got really disappointed reviews, and I had really high expectations and didn’t want to ruin my adoration for Gosling. I thought I read somewhere that he wasn’t exactly happy how the film came out. Maybe I can get this somewhere, it still hasn’t come out in Europe, I’m thinking it’s going to be straight to DVD.